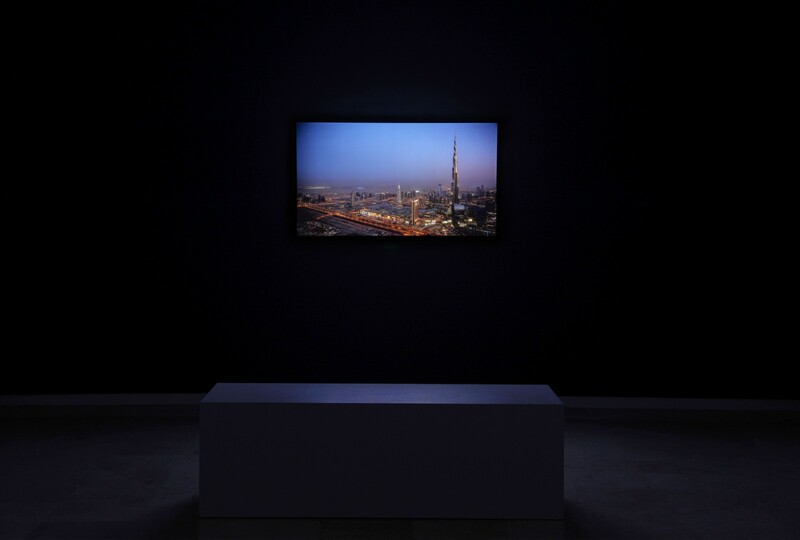 PLAYTIME is set across three cities defined by their role in relation to capital: London, a city transformed by the deregulation of the banks; Reykjavik, where the 2008 global financial crisis began; and Dubai, one of the Middle East's burgeoning financial markets. 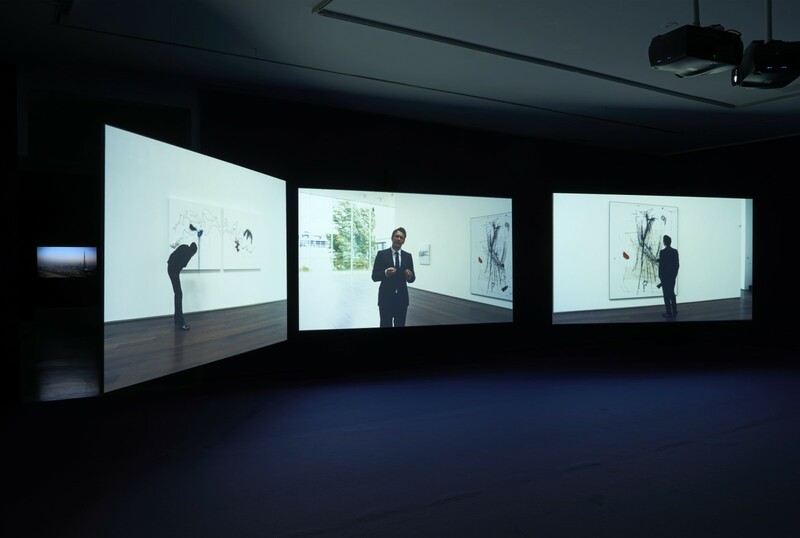 Part documentary and part fiction, the work follows six main protagonists - the Artist, the Hedge Fund Manager, the Auctioneer, the House Worker, the Art Dealer, and the Reporter - interconnecting figures in the world of art and finance with the real stories of individuals deeply affected by the crisis and the global flow of capital. 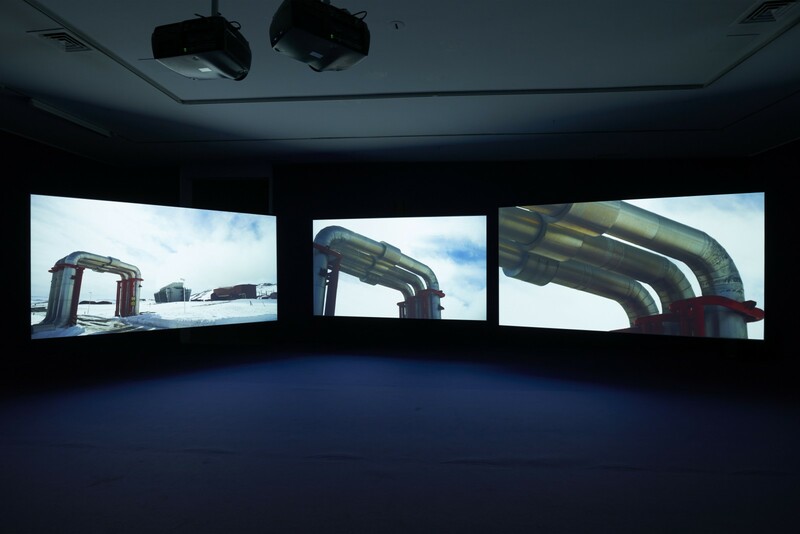 Exhibited for the first time as a three-screen work, PLAYTIME transforms the whole of Galería Helga de Alvear's space into a striking and immersive installation, specially concived for our space in Madrid. 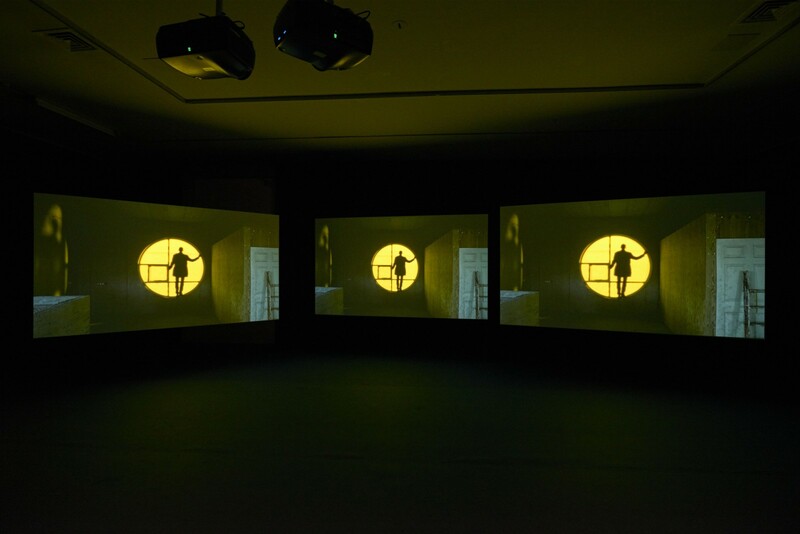 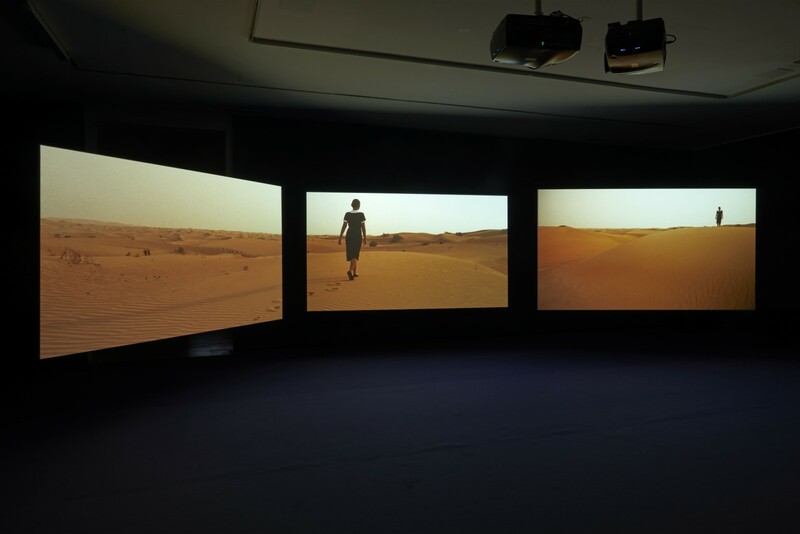 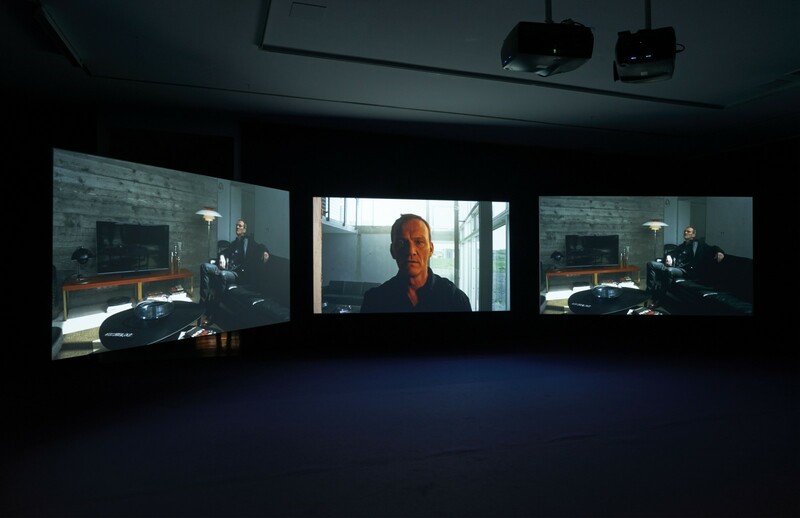 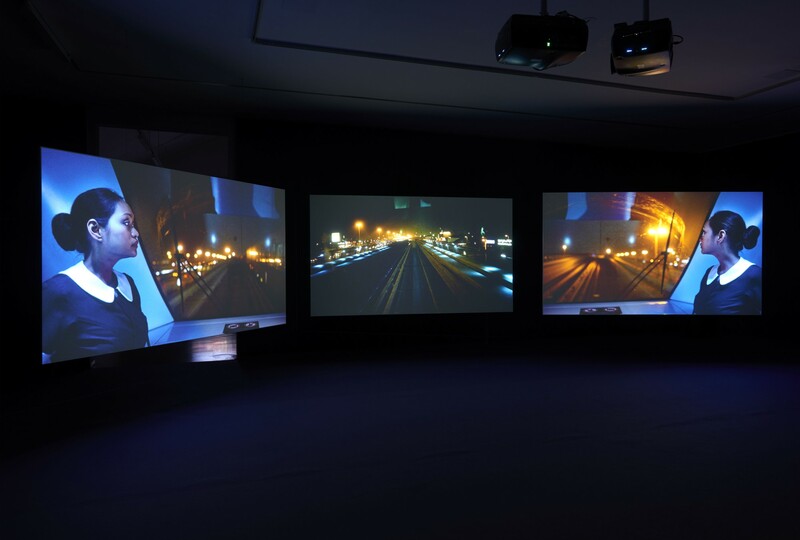 The three screen set up, montaging the work's protagonists and locations across multiple screens in reference to capital's potential to both facilitate global movement and to create its own barriers.